The number of people who die from heroin overdoses in the U.S. has quadrupled since 2002, according to a report released by the U.S. Centers for Disease Control and Prevention on Tuesday. And while the trend has persisted for a decade, the rate of deaths doubled in just two years between 2011 to 2013, prompting the CDC to urge action to stave off this rise. The CDC compared data on drug usage from four two-year periods between 2002 and 2013 and found that the rate of heroin-related deaths grew from 0.7 deaths in 2002 to 2.7 deaths in 2013 per 100,000 people. That means in 2013, 8,257 people died from heroin-related overdoses. By comparison, overdoses from prescription painkillers led to 16,000 deaths in the U.S. in 2013 and roughly 5,500 people died from cocaine overdoses that year. About 33,000 Americans are killed in car crashes each year, and another 30,000 die from falls. The CDC doesn’t say why more people are dying from heroin – the agency's report points out that increased availability and lower prices do coincide with the rise in overdoses but suggests the trend is “most likely the result of multiple and possible interacting factors.” The amount of heroin confiscated at the Mexican border by the Drug Enforcement Administration also quadrupled from less than 500 kg from 2000 to 2008 to about 2,200 kg in 2013. But the agency did rule out one popular theory by saying the increase is not due to the push by public health officials to place greater restrictions on doctors’ ability to prescribe opioids for pain relief, which critics claim pushes some patients to turn to heroin. To dispel that claim, the CDC points to a study of overdoses in 28 states which found rates of deaths from prescription opioids did not match up with heroin-related deaths in any meaningful way. The CDC data also shows that it’s not just heroin-related deaths that are on the rise – usage is increasing, too. 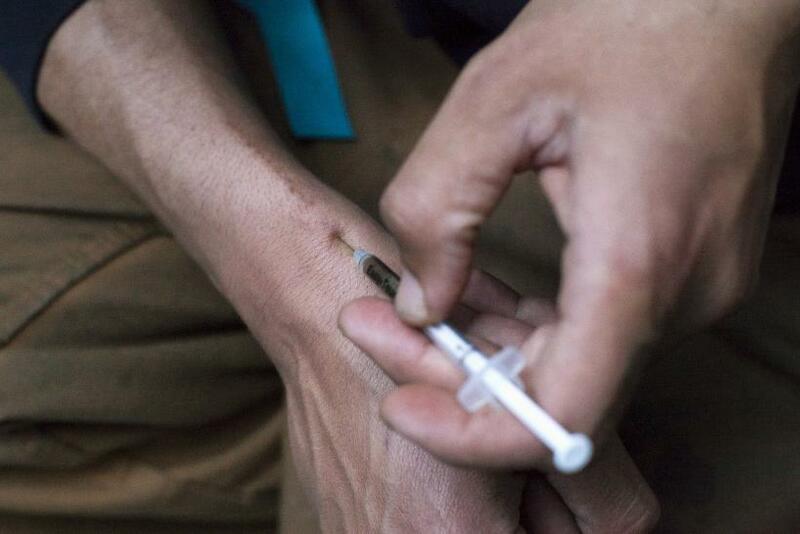 In 2013, more than half a million people – 517,000 – said they’d tried heroin in the past year. From 2007 to 2013, that number increased 150 percent. This means about 2.6 people out of every 1,000 Americans who are 12 or older tried heroin in 2013. From 2002 to 2004, only about 1.6 out of every 1,000 people were considered users. Many of these people didn’t just try heroin once – the percentage of heroin users who met the definition for abuse of or dependency on the substance doubled from about 20 percent at the beginning of the study to roughly 45 percent by the end. Demographically, the surge in use appeared across most ages and races. However, it was particularly pronounced among 18-to-25-year-old white males who live in the Northeast and have a household income of less than $20,000. In light of these findings, the CDC called for measures to reduce inappropriate prescriptions for opioids, such as strengthening prescription drug monitoring programs that permit doctors to compare data with one another to make sure a patient isn’t filling multiple opioid prescriptions from different providers. The agency also recommended expanding insurance coverage for substance abuse rehabilitation programs and providing easier access to the drug naloxone, which can counteract overdoses if taken quickly.